The region of Champagne-Ardenne lies in the north-east of France, bordering the French regions of Burgundy, Ile-de-France, Picardy, Lorraine and Franche-Comte. It also shares a border with Belgium. Famed, of course, for that finest of sparkling wines, Champagne, the region also has a vast amount of heritage, glorious countryside, lively towns and cities and plenty of attractions throughout the region for all the family. Champagne-Ardenne has four departments. The Ardennes is one, whose terrain is characterised by rolling hills, castles, forests and fortified churches. Another is the Aube, which is an outdoor pursuits paradise, offering stunning, unspoilt countryside. Timber-framed churches are a feature of this lesser known department. Meanwhile the Marne, is the heartland of champagne production, and the Haute-Marne is where you can relax in pretty countryside, enjoy water sports on the fabulous Lake Der Chantecoq and indulge in a spa treatment in a premier spa town. Champagne-Ardenne has a thriving economy which includes production of champagne and wines, gastronomic products and tourism. Its climate is generally good, with hot summers, cold but mercifully rarely severe winters and pleasant springs and autumns. It is impossible to think of this region and not immediately call to mind the prestigious sparkling wine for which it is so famed. Following the champagne trail through the region, touring vineyards, visiting caves, enjoying tastings and festivals or taking courses to gain a deeper insight into the process by which this most celebrated drink is made, are all absorbing and popular activities in Champagne-Ardenne. The landscapes of Champagne-Ardenne, with forests, rolling hills, waterways and forests lend themselves perfectly to all outdoor pursuits, from gentle rambling to adventure sports. The region is also known for its lakes, of which the massive Lake Der Chantecoq is the most popular, offering water sports, fishing and more. There are plenty of heritage towns and important buildings to discover in Champagne-Ardenne, but perhaps the most unusual are the churches of the region. Fortified churches are a feature of the Ardennes department, while the unusual timber-framed churches are found in the Aube. Reims, with its splendid Gothic Notre Dame Cathedral is another "must see". Along with the champagne that features in its name, Champagne-Ardenne has a truly great gastronomy. Among the specialities of the region are paté, cider, cheese, cabbage, sausages and biscuits. The best airports to use to get to Champagne-Ardenne are those of Paris, as currently these are the closest airports offering direct flights to/from the UK. The TGV runs to Reims. Several auto routes will take you to and through the region if travelling by car. It can be a good place to find bargain property, as long as you stay clear of the parts of the region that are close to Paris or to Brussels, as these are popular with commuters and weekenders so prices are high. In much of the rest of the region, property, even quite substantial property with land can often be found for very reasonable sums. Do you know Champagne-Ardenne better than we do? Do you have photos of Champagne-Ardenne? The Ardennes roughly translates as 'deep forest'. The department is ideal for those with a love of the outdoors as it is one of the least populated and unspoilt areas of the country. The rules about renovating properties are also not as strict here as elsewhere in France. This, combined with affordable property prices, makes this an increasingly popular area with international buyers. This highly renowned region offers a lot more than just the world's most exquisite drink. Affordable prices mean you can own property very close to the two major political and cultural capitals of mainland Europe, Brussels and Paris. There is no better place to taste Champagne than in the Marne department. Its thriving economy largely revolves around the production of wine and tourism. Nowhere is this more true than in Reims, a lively city steeped with history. The Haute-Marne is a perfect mix of idyllic countryside and quaint towns and villages. You will also find eastern France's number one spa town, Bourbonne-les-Bains, here, which has been curing, relaxing and rejuvenating visitors since the Roman times. 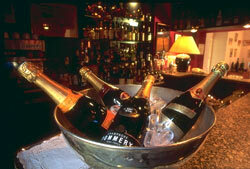 Reims, in the Champagne region of northern France is a city which positively bubbles with life. Of massive historical importance as the place where the French kings were crowned, the modern city has a large student population who add youth and vigour to its history and tradition. Elegant buildings abound, yet in the buzzing centre there are a multitude of bars and restaurants where you can sit and drink in the unique atmosphere of this fascinating city. Champagne-Ardenne is in the north of France, sharing a border with another famous wine producer - Borugogne, known to the British as Burgundy. WHICH DEPARTMENTS ARE IN Champagne-Ardenne?